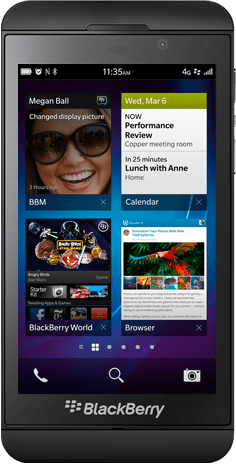 Blackberry Z10 user? We need you! With the release of BlackBerry v10.0 last week, the method for synchronising the new set of BlackBerry 10 devices with MDaemon has changed. A BlackBerry Enterprise Server (BES) is no longer required for synchronisation, and handsets now use the ActiveSync standard for personal data synchronisation. The process of setting up an ActiveSync account on a BlackBerry 10 device is actually quite similar to the Android and iOS devices, requiring just the server details, email address and password in order to connect. Today, with the help of a couple of willing volunteers who use the new Blackberry handsets, we’ve written a Knowledgebase article detailing the steps required to synchronise both Z10 and X10 devices, but we would appreciate a little assistance in testing our instructions. If you use either and wouldn’t mind running through the brief setup steps we’d appreciate knowing how you got on. Note – in case it comes in handy, apparently to take a screenshot on a Blackberry 10 device you simply press both the volume up and down button at the same time and you should hear a camera shutter sound. Who knew!? If you can help, please get in touch by dropping us a quick email to support@zensoftware.co.uk. Thanks to Graham Potter and Greg Goldsworthy for their assistance to this point! Thank you for your tutorial, which is also echoed by the support of the editor! BUT, it is not correct to write that the BB10 uses ActiveSync for synchronization. This is TRUE only if MDaemon, because the BES is not compatible. Enabling business is always available on the Z10. But in fact requires a server BES10. Sync ActiveSync can synchronize emails, BUT can not mount MDS connection or profile management or restrictions ..
Clearly the most important being the strength of the system is ocultée blackberry. I have follow all your instruction, however it is not working and I am not able to set up my email account. whichever you are using) You can do this by just using the built in web browser to check the URL works from outside your network. Try pointing your browser to https://mail./Microsoft-Server-ActiveSync you should receive a simple text response showing the MDaemon and Active sync version numbers. If this works but you are unable to configure the email client, it may be best if you speak to us in support ( support@zensoftware.co.uk 0161 6605738).